- and always roll up the sleeves! P.S: The DNA of Parisian style! P.P.S: How to dress like a true Parisian this spring. Jill, I would go with navy...since I have one too and it's perfect for dressing down or up! I'm desperately researching for my trench! I only have one of them, one black from Zara, nothing special. I desperately want another one beige or grey (stone): I can't afford a Burberry one even if it would be me favourite, have somenone some suggestion for nice simil-Burberry (3/4 lenght) to stay between 200 and 500 euros? In italy I'm just not finding anything like this, and I'm so yearning for one like these of your photos! Jillian, you should totally try a shorter one. I bet you will love them! Katie, totally! 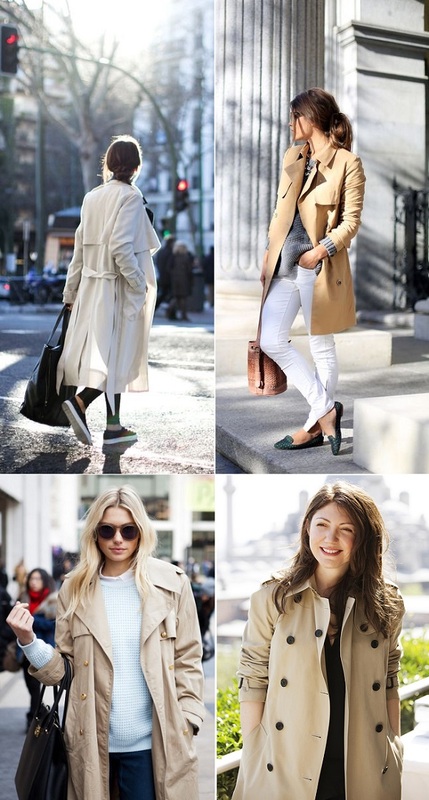 Those little tweaks are perfect to soften the look, indeed:) You should totally try a short trench and see how you like it. Thank-you very much indeed Diana! I don't want to buy it on-line, I want try it on in evry size and coulour I can. So, if I can't find one of them in Italy stores, I'll keep them in mind for my next trip to London (in 2 o 3 month max). 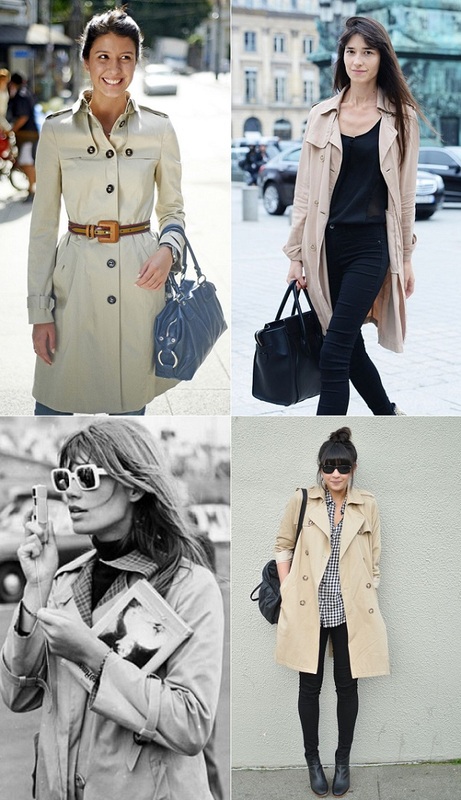 Sooner or later, I'll have my new trench!